Shop Common Threads Online! Check out our brand new Store! AC/DC lead guitarist Angus Young performs in signature schoolboy uniform; image via Pinterest. Maybe it’s the World Cup, or watching designers close their runway shows. Or maybe it’s the fact that I recently bought ANOTHER white top and pair of jeans. In any case, uniform dressing is on my mind. Adopted (vs dictated) uniforms done well are flattering and efficient. They project confidence, consistency and authority without upstaging the wearer or their work. “…if you can find a uniform that makes you feel confident and comfortable in your own skin and you’re able to get dressed in less time, that’s a game changer,” says Michael Kors. “The simple truth is that, for most people, unless you are really an iconoclastic dresser, unless you’re Iris Apfel or David Hockney, the best thing you can do is have people notice you. If people are the picture, then the best clothes are the frame. And I’m the framer.” No wonder magnates from Barrack Obama and Steve Jobs to Jackie O and Vera Wang are/were devotees. 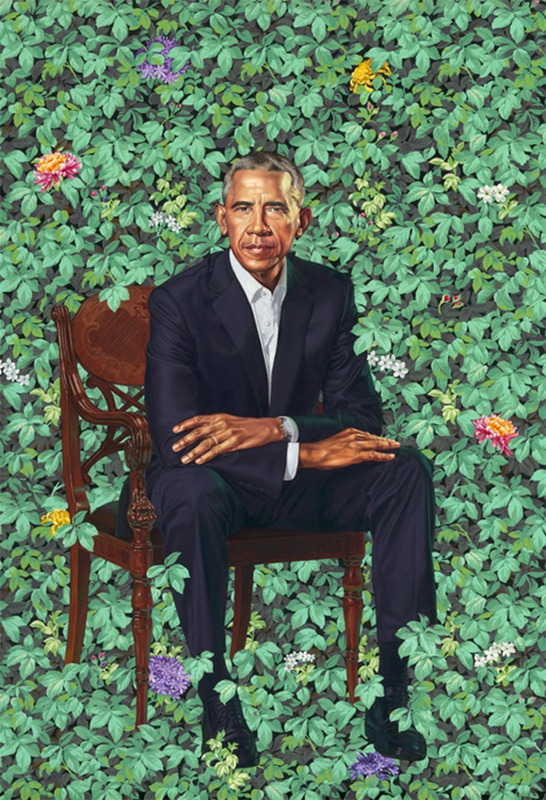 Presidential Portrait of Barack Obama in his uniform of dark suits and white shirts; image via washingtoncitypaper.com. Vera Wang's uniform of black tops (typically sleeveless) and skinny pants. Image: Daily Mail. Giorgio Armani's uniform of black tee shirts and pants (or jeans) for day. Image: Fashion Sizzle. Carolina Herrera's uniform of crisp white button down and dark skirt; image via Harper's Bazaar. 1. Assess the value of uniform dressing to your life--maybe it's something to consider and try, or maybe there are aspects of this kind of dressing you can adopt to simplify your life-especially the getting ready in the morning part. Summer Kitten Heels; image via Getty. Summer shoe trends typically reflect larger directions in fashion: this year that means throw-back styles reminiscent of the ‘90s and early aughts (think delicate contrasts to beat up 501s or chunky shoes anchoring baby-doll or slip dresses) that eschew the sandal. KITTEN HEELS: This harbinger of the 90's trend has maintained it-shoe status, working especially well in fresh white or bright colors for summer. 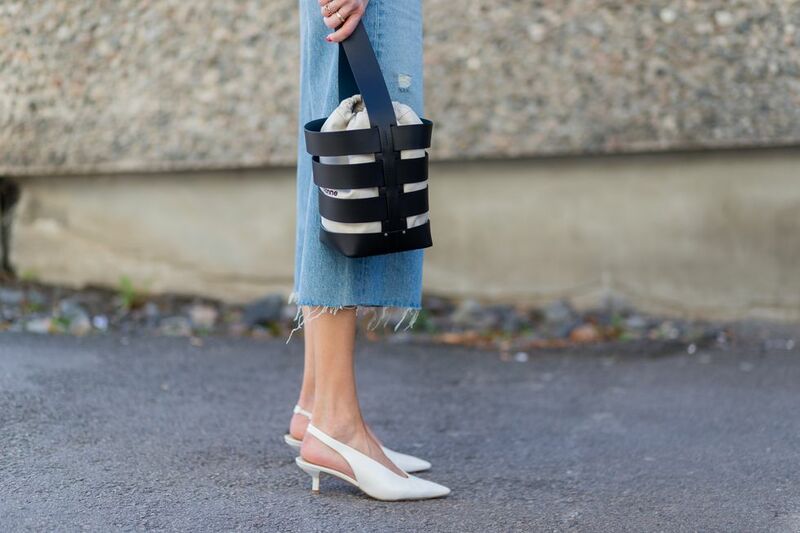 White Kitten Heels with a summer-ready knife pleat skirt; image via Who What Wear. MULES: With stacked heels or closed toes, mules are showing up in a major way this season. Count on a mule to easily elevate summer jeans, city shorts or boho sundresses. Manolo mules with vintage denim; image via Grazia South Africa. PVC: Spring's strongest materials trend extends to footwear this summer in the form of slides, sandals and heels that wink at playful naughtiness. Pair these "grown up jellies" with absolutely anything under the sun. Birkenstock x Barneys PVC slides; image via Barneys New York. DAD SHOES: Dad Shoes are a fabulous closed toe option that contrasts brilliantly with every floaty item in your summer wardrobe (be sure you don't relegate Dad Shoes to athleisure looks exclusively). Chanel's take on the Dad Shoe trend; image via Sole Supplier. 1. Invest in one pair of shoes that echo these trends (you can shop many of these looks at Common Threads Boulder and Denver now). 2. Shop your closet for things to pair them with (I love to reference Vogue or Harper's Bazaar Street Style sections for inspiration). 3. Reap the benefits of updated accessories! RuPaul's Drag Race Winner Bob the Drag Queen via St Louis Post-Dispatch. Dame Edna Everage via Wacky Tacky Blogger. Dame Edna Everage is a character created and performed by Australian comedian Barry Humphries. Known for her “wisteria hue” hair, cat-eye glasses ( or “face furniture”), and biting social commentary, the character grew from impressions of non-plussed Australian suburbanites Humphries developed to entertain fellow actors in the touring Union Theatre Repertory Company. Over fifty years Edna has evolved from a drab Melbourne housewife into a Dame replete with outlandish dress and a huge media presence; her ability to lampoon the cult of celebrity, class snobbery and prudishness on stage and screen remains constant. Notably, she has performed on Broadway, in London and for the Royal Family. Humphries and staff keep character and performer completely separate; the team believes precision allowed a rich character to develop and succeed across cultures, paving the way for diverse performers like Rupaul and Conchita. RuPaul Andre Charles is an American drag queen and artist best known for RuPaul’s Drag Race (the Emmy-Award winning show he hosts and produces). Born and raised in San Diego, RuPaul studied performing arts in Atlanta and then moved to New York City, quickly becoming a popular fixture in the local nightclub scene. His rise to fame was marked by the 1993 release of “Supermodel (You Better Work)”; soon after, he became a spokesperson for MAC Cosmetics (the first drag queen to land a major cosmetics campaign). RuPaul is noted for indifference to gender-specific pronouns, "You can call me he. You can call me she. You can call me Regis and Kathie Lee; I don't care! Just as long as you call me." In 2017, RuPaul was named one of TIME’s 100 Most Influential People. Conchita Wurst attends the Golden Globes; image via Hollywood Life. Conchita (formerly known as Conchita Wurst) is the stage persona of Austrian singer, recording artist and drag queen Thomas Neuwirth. Neuwirth studied fashion, appeared on Starmania (an Austrian casting show), and was a founding member of the boy band Jetzt Anders! before beginning to appear as Conchita in 2011. Conchita Wurst represented Austria and won The Eurovision Song Contest 2014 with her song “Rise Like a Phoenix"; this victory cemented her status as an international gay icon, leading to performance engagements at The Sydney Opera House and The London Palladium, and invitations to speak at the European Parliament and the United Nations Office in Vienna. 1. Watch RuPaul's Drag Race: it's heartwarming, fun, and informative. 2. Learn more about how to support local LGBTQ initiatives. In Denver, you can refer to places like The Center , Denver Pride Fest, and Colorado LGBTQ Chamber of Commerce. 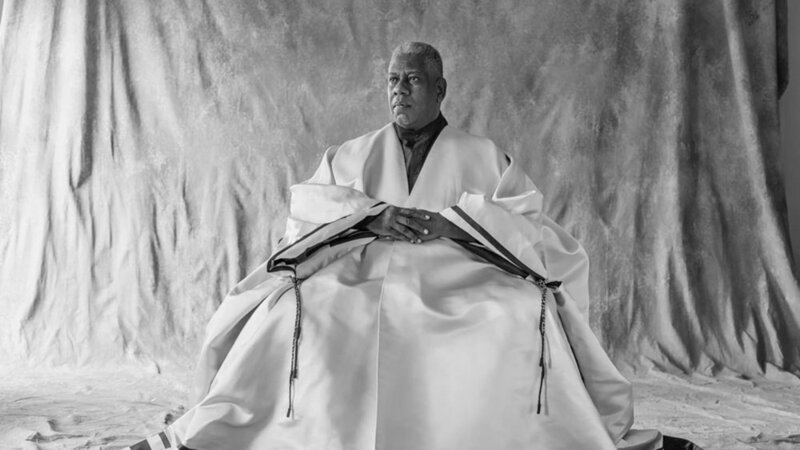 Andre Leon Talley in a signature caftan; image via The Daily Beast. 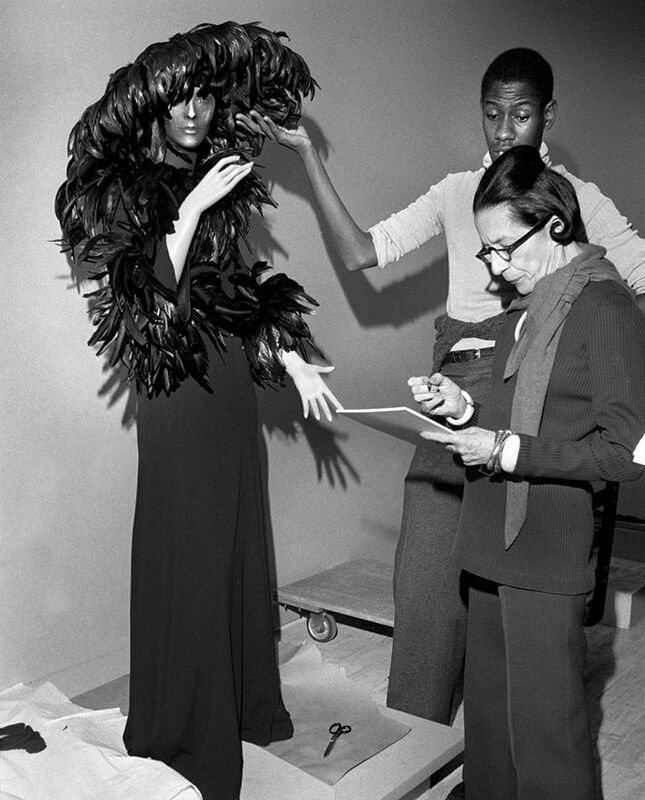 Working with Diana Vreeland of Vogue; image via Pinterest. When Talley was 9 or 10 years old, he found an issue of Vogue at the public library. “"[Vogue] was my gateway to the world outside of Durham," he says. "It was the world of literature, what was happening in the world of art, what was happening in the world of entertainment." He papered his bedroom walls with images torn from the magazine. Outside the home, Talley was bullied for his race, his size, his clothes, and his mannerisms. But he remembers a lot of good things--the unconditional love of his grandma, the lifelong friendships forged in a segregated high school. With Grace Jones via Whowhatwear. With Anna Wintour; image via Pinterest. Talley went on to study French Literature at Brown University, and moved to New York City in 1974. He worked first for Andy Warhol at the Factory, then with Diana Vreeland and Anna Wintour at Vogue, ultimately serving as its creative director and editor-at-large. When asked about working for the magazine he worshipped as a child, Talley says, "I just rose to the occasion. I stood up straight and tall — like a tall, tall sunflower — and I just radiated the light and the beauty of my mind in relationship to the world of fashion." You can learn more about Andre Leon Talley's life and influence in the new Kate Novack documentary film The Gospel According to Andre. 1. Go see this film! PS: Thank you to NPR for quotes from interviews done with Mr. Talley. S/S 2018 Runway via Vogue Italia. 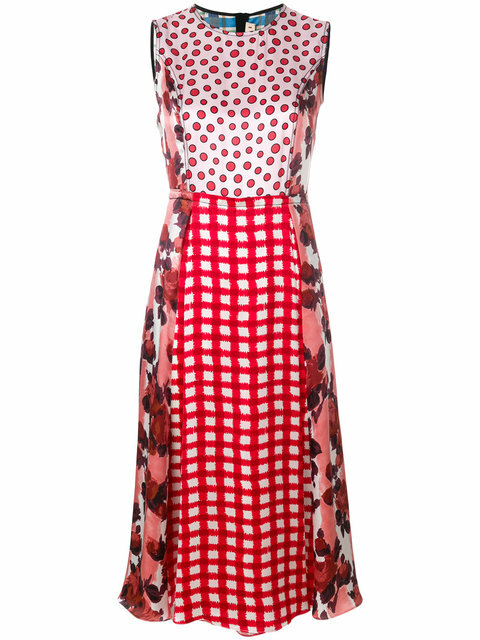 Summer dresses: the ultimate palate cleanser for those of us who swear by uniforms of skinnies, tee shirts and boots. Whet your appetite with this gallery of styles spotted on the runway (consistently following trends of nostalgia for bygone eras, especially the '90s), and get dressed for Summer. Plaid dress by Veronica Beard. Preen by Thornton Bregazzi floral dress. JW Anderson baby doll dress via Farfetch. TO DO: Put on a dress. Today! Add a pair of sneakers, a colored pump, a Birkenstock or a moto boot and get out the door. If your dresses need tweaking, go to the tailor this weekend. They'd love to help. YOU CAN SHOP AMAZING DRESSES AT COMMON THREADS DENVER AND BOULDER NOW. Kate Spade in her New York showroom. Image via New York Times. I never gave much thought to what owning a Kate Spade bag meant until yesterday, when a canon of “My First Kate Spade” stories began to emerge online. These stories go beyond grief, celebrating the woman who made the bag that marked many other women’s milestones. "I was living in Tulsa, OK and early in my "grown-up" engineering career and the black "Sam" Kate Spade handbag was all the rage! (The original bag that got her career going). Even though I couldn't really afford one, I had to have one! I sweet talked a sales associate at the Tulsa Sak's store into letting me know when they would receive a new shipment. She did and I immediately snatched it up without a second thought (then ate mac and cheese for the next few months!) This was my very first designer handbag! Women would stop me saying...."I love that bag! ", to which I would proudly say "It's a Kate Spade!" As the years went on, my Kate Spade collection expanded (and contracted) and my style has changed since that time.....but I will always remember my iconic Kate Spade "Sam" bag......because, to me, it signaled my emergence as an "adult"! Kate Spade and I were the same age and both from KC.....and story has it that her first studio was just blocks from my high school." "I remember my first one! It was a wristlet, bright and colorful with a large chunky clasp. I had secured my job at one of the top spas in Texas. Finally making big money! And I went to the Galaria Mall in downtown Houston, a 45 min drive. Spent hours between LV, Kate Spade and Coach..... My first big girl "purse"! It was the bright colors and pocket that fit my phone that sold me! I felt so fancy, so grown! I will always remember that day!" "Never had one. But loved them. Did not have enough money. Pretty sure I loved them all from afar"
"I found my Kate Spade at a thrift store-and no it's not a knock off!" TO DO: Here are some thoughtful articles that explore the topic more fully, give them a read. PS: A huge thank you to all who responded with stories about Kate Spade; it is an honor to be in touch with you on this topic, and to pay homage to an amazing woman and iconic designer through your stories. People shop resale for lots of reasons-budget, unique finds, or the feeling you get when you mine fashion gold. All of this translates to big business; in fact the US resale industry is approaching $4 billlion in annual revenues and growing. As such, it’s a celebrated segment of The Circular Economy. Traditional industrial models are linear: “take, make, and dispose”; against a backdrop of unprecedented population growth, this model seems unsustainable. The Circular Economy aims to redefine products and services by designing waste out while minimizing negative effects on the economy and the environment. We participate in The Circular Economy by extending the life of textiles and clothing, supporting a model that looks more like “take, make, resell, repurpose, recycle”. In this way we hope to help build social, natural, and economic capital over time. You can learn more about Circular Economy philosophies and like-minded businesses via the Ellen Macarthur Foundation here. Meghan Markle’s wedding dress was as modern and stunning as the woman behind it. Here are three things to know about Clare Waight Keller. Waight Keller with her children (about 4-5 years ago). Image: Vogue. Waight Keller has three children with her husband, US architect Philip Keller. "While the kids are at school, I’m flat-out at work," Waight Keller told W in 2015, "But I come home and work vanishes as soon as I hit the door. Unless there’s something really urgent and pressing, there’s so much going on here that work isn’t in my head. I think that’s what’s really grounding about having a family: You don’t let the crazy fashion world take you over." At a Chloe and Barneys New York Event with Chloe Sevigny. Image: Pinterest. Waight Keller is from Birmingham, and grew up hand stitching clothes with her mum; she earned her BA and MA in fashion and fashion knitwear at Ravensbourne College of Art and Royal College of Art, respectively. After school Waight Keller moved to New York City and designed for Calvin Klein Womenswear and Purple Label at Ralph Lauren. She started work as a senior designer for Tom Ford at Gucci in 2000 London (alongside other storied talents like Christopher Bailey), five years on she stepped into her first Creative Director post at Pringle of Scotland. Her work at Pringle is credited with transforming the small Scottish knitwear company into a modern and globally sought label. In 2011 Waight Keller took Creative Director reigns at Chloe (following the likes of Phoebe Philo, Stella McCartney, Karl Lagerfeld and Gaby Aghion, the house’s founder); during her tenure she was widely praised for making the brand more approachable and profitable. By the time she left, Chloe was the most profitable brand at Richemont with an estimated 400 pounds in sales the year she resigned. Taking a bow at Givenchy. Image: footwearnews. Meghan Markle in her Royal Wedding Dress. Image: Getty. Her most famous design yet: The Duke and Duchess of Sussex (Duchess in Waight Keller's design for Givenchy). Image: Getty. Last year Waight Keller was appointed the first female artistic director of Givenchy. The label said they chose her due to her compelling vision, commitment to leadership and ability to break the rules. “She’s a very interesting balance between magic and logic, and I’m personally very, very excited to have her on board," says Givenchy CEO Philippe Fortunato. Her first collections for Givenchy have been well received, translating the 70’s aesthetic she mastered at Chloe into the world of Givenchy effectively. She managed to do all of this while secretly designing Megan Markle’s wedding dress (her husband and family didn’t even know). We cannot wait to see what's next. Kate Moss in The Face circa 1990; image via London Liberty Girl. She was famously discovered at JFK when she was just 14 and shot by Corrine Day and Melanie Ward for The Face in a series of black and white photos depicting “dirty realism” or “grunge” soon after. This shoot defined a new aesthetic in high fashion: on the heels of The Supers (Christy, Cindy, Linda, Naomi) came Kate from Croydon. From her reign of ‘90s waifs to the bohemian, rocker-chic sensibility that became her signature, Kate Moss has earned her status in the fashion world as icon. Time logged on runways and in front of the camera brought her to the world’s attention, but it is her personal sense of style that endures. Last week Kate Moss attended her first Met Gala since 2009 (she co-chaired the “Models and Muse” event alongside Marc Jacobs that year); amidst ball gowns requiring their own transportation, she wore a stunning LBD by Saint Laurent. All hail. Kate Moss for CK Calvin Klein circa 1992. Image via Who What Wear. ...with Super Naomi Cambell in 1993. Image via Pinterest. ...at Glastonbury in the 2000s. Image via InStyle. Recent street style a la Kate. Image via Elle. Image via Fashion Art Love Pop Culture Melbourne. Kate Moss in and with Marc Jacobs at the 2009 Met Gala. Image via Stylefizz. ...at the 2018 Met Gala in Saint Laurent. Image via Harper's Bazaar. In New York City 2018. Image via Fizz. In NYC 2018. Image via Stylefizz. 1. Celebrate what makes you distinct with the things you wear. 2. Lean into your uniform (whatever that is--hers is lots of black, denim, boots galore) and pile on luxe accessories you love to personalize (THIS IS WHERE TO INVEST). TO DO is a new section that distills the blog down to two or three actions or points. I hope this links content to closets--let me know what you think! You can shop pieces suggested above (amazing designer jackets, boots, shoes, and accessories) at Common Threads Boulder and Denver now. Blake Lively attends the 2018 Met Gala. Image via CNBC. When I was in college I took a class analyzing performance in New York City with my best friend. We were thrilled by the entire experience (Broadway! Balthazar! Barneys! ), but everything paled in comparison to watching The Met Gala from the roof of a Town Car whose driver knew Ashley Judd. That was unforgettable. Gwynyth Paltrow and Ashley Judd at the 1997 Met Gala. Image: The Loop. The Costume Institute, or Met Gala, was first organized by CFDA founder Eleanor Lambert in 1948 to raise funds for the new Costume Institute division of the Met. Midnight December suppers were held annually at The Waldorf Astoria and The Rainbow Room to support the Institute until 1971. Former director of the Metropolitan Museum of Art Thomas Hoving dines with his wife and another guest in Central Park. Image: Getty Images. Metropolitan Museum Fashion Ball (Met Gala), circa 1960. Image: Time. Under Diana Vreelend’s leadership, The Gala transformed into a headier, more strategic event: guests took elevators down to an opium den of a venue replete with moody music and faceless mannequins reflecting themes of Institute exhibits open to the public afterwards. These themed exhibitions (and Gala guest lists including pop icons like Andy Warhol, Diana Ross and Cher) breathed new life into the Institute, attracting record crowds and donations. Andy Warhol and Diana Vreeland in 1977. Image: WiredImage. Anna Wintour took the mantle in 1999, enlisting Vogue’s influence and resources. Throughout her tenure Wintour has carefully curated events that echo and expand on Vreeland’s extravagant vision. Guest lists, themes, and décor celebrate the fashion industry and celebrity: athletes, artists, socialites and politicians swan up the Met’s grand entrance in themed (or simply sponsored) dress before viewing exhibitions and dining together in a social-media-free-zone. The event and exhibit surpass expectation for elaborate refinement and meeting the bottom line year-on-year while the world-and maybe some coeds new to the City-look on. Agog. Anna Wintour and her daughter Bee Shaffer at the 2015 Met Gala. Image: Just Jared. Tap into your inner Vreeland and shop designers featured at Met Galas past and present (Prada, Commes de Garcon, Versace, Dior, Balenciaga etc.) at Common Threads Boulder and Denver. Why not? A recent photo of Judith and Gus Leiber in his studio; image: The New York Times. “When the universe began your soul split and you had a twin. Everyone has a twin flame but they don’t get to hang with one another unless they have something really sacred to do." Judith Leiber (nee Peto) was born in 1921 Budapest, Hungary. Her early plans to pursue a career in cosmetics chemistry were derailed by growing fascism in Europe; amidst brewing war, she returned from Kings College London to Budapest, enrolled in an artisan program still accepting Jews, and mastered the craft of handbag design (she often said Hitler made her a handbag designer). After liberation by the Red Army Leiber’s family moved into a basement with sixty other people. The Leiber Wedding photo; image: Leiber collection via The New York Times. Judith Leiber Year of the Snake; image via Citizens of Fashion. Judith Leiber Peacock; image via Vogue Magazine. Judith Leiber Kyoto Pagoda; image via All Handbag Fashion. Her sensuous, tactile, and often hilarious minaudieres are world-renown and earned her unprecedented acclaim. They are accessories of choice for first ladies, movie stars, and socialites. His work as a painter, lithographer, and sculptor was exhibited internationally at over 200 shows and is on permanent display at the Metropolitan Museum of Art, The Smithsonian, and the Brooklyn Museum. They sold their business for an estimated sixteen million dollars in 1993; more recently, they mounted joint exhibitions on Long Island and Manhattan. The Leiber's entrepreneurism and passion for beauty have left an indelible mark on 20th and 21st Century design. The Leibers posing with a handbag designed after one of Gus's paintings; image: The New York Times. Judith and Gus Leiber died within hours of each other last weekend at their home in Springs, New York. They were married 72 years. They are buried together. This is a story of Twin Flames. NOTE: quote describing Twin Flames is taken from an interview used to research Date* in 2011. Regularly selling out the Boulder Theater, Common Threads' Recycled Runway features work teenage students design and create with the Common Threads Creative Lab. Wrapping up our RR09 coverage, here are three questions posed Rachel Lubanowski (Gray Tangerine designer, Common Threads Boulder store manager, Recycled Runway mentor, all-around amazing woman) about working with teens who transform trash. Rachel with two student designers at RR08; image: Dylan Crossley Photography. 1. What is your favorite thing about working with students at RR? I'm mostly surrounded by adults, so I LOVE the chance to work with teens and interact with them: hearing about what they're learning in school, what their favorite classes are, who they look up to, and what music they're listening to. When Recycled Runway is over for the year, people always ask "Are you so glad the event is over?" My answer every year is that it's bittersweet. Recycled Runway has come to be a big production with lots of moving parts and preparation, but I miss seeing the designers each week. In just six weeks, we develop a special bond that is like no other. I cherish that. RR08 design featuring popped balloon bodice and fringe; image: Inga Pae. 2. Tell us the story of a design from concept to completion. Some of the most memorable designs in my eyes have been pieces the designers created with items that show up in their lives. For example, last year a student designer had a friend in her neighborhood who loved making balloon animals. He saved his popped balloons for her, and she created almost her entire look out of popped balloons that were woven into a bodice and made into fringe. And this year one of our designers rode horses, and was inspired by the incredibly wasteful feed packaging. She used horse feed bags to create her bodice, pants and hat, accessorizing with a choker fashioned from a horseshoe. from one of her ponies as a choker. 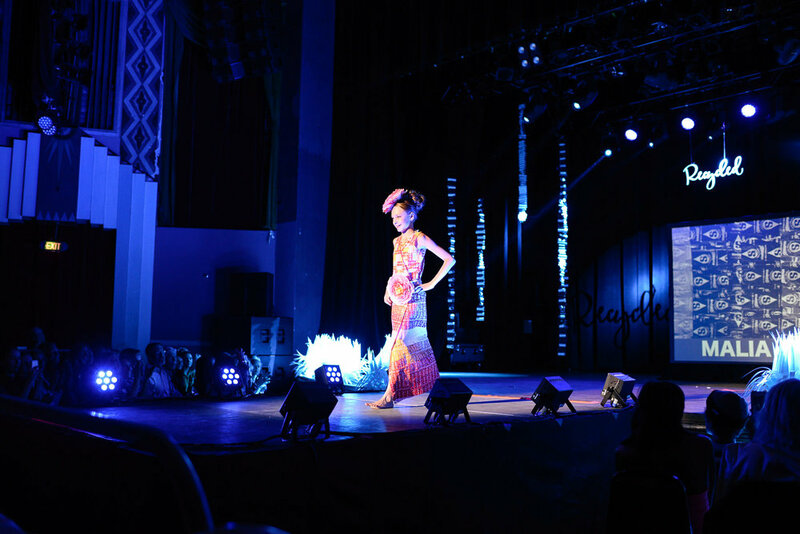 Runway shot from RR09; image: Dylan Crossley Photography. 3. What are the biggest challenges to this work and how do students overcome them? One of the biggest challenges is fit: getting a garment made out of things that are not meant to be worn to fit and fit well is no small task. Tanja and I each have ways of helping designers think about how to get a great fit (hers are mainly patterning ideas and mine are draping techniques), but all of the work is completed by the teens. Sometimes it's challenging not to make recommendations that are obvious to us, but it's amazing to see the teens work through things and troubleshoot on their own. They are always really determined and most spend hours and hours on the details in their looks. You may know Libby as the founder of Common Threads: she's tall, beautiful, blonde, funny, kind, and smart as a whip. But you may not know about the incredible event she started nine years ago in Boulder; here, some of Libby's thoughts about Recycled Runway. Amazing craftsmanship at RR 8. Image: Dylan Crossley. More incredible design work at RR 8. Image: Dylan Crossley. The first year was small-about ten kids-and we had no idea what was going to happen. Sarah (Tracy) ran the sewing program at Common Threads and had worked with kids in New York and we had this idea to create a program for kids to design, create and present fashion from trash. Sarah would teach and I would be the organizer—getting the community involved, recruiting volunteers, and putting together a strong team to produce and support the event. We first presented at the Boulder Museum of Contemporary Art, and about forty people showed up. What stood out was that the kids' outfits were amazing. Everyone who saw the designs was like, “Oh my gosh. You need to keep doing this!”. We never thought we could fill the Boulder Theatre, and we didn’t sell to capacity for a couple years, but last year we sold out and this year we sold out in one day. It’s kind of amazing to think about. We had 33 kids presenting this year. I think the coolest thing, and this is why I love Recycled Runway, is that it started out as something for the kids and the community and we’ve managed to keep it that way. This is a place where kids handle a creative process without being overshadowed by parents or teachers. And maybe because of that, there's an impact. The girl who won the first year- she made a dress out of her geometry homework, it was one of the best designs I've seen- went to art school in Baltimore and is working in Brooklyn. Tanya’s daughter Audrey is at FIT (Fashion Institute of Technology), and another girl is going to FIT next fall. We’ve had quite a few go on to design school, and the cool thing is they keep in touch-Kate, Carly-they stop by the store when they're back home. There's a unique bond. And that’s rare for retail—to have such a strong community thread—everyone is kind of tied together through this thing. At this point it's a great, polished event but I want to be sure we always stay true to the intention. I don’t want it to be this crazy, competitive…I think you can ruin things by becoming too big or losing focus on what’s important. What’s important about Recycled Runway to me, what makes me want to do it every year, is what it provides for the kids, and how the community rallies to support them. It feels like I’m making a difference. Next week: further discussion with Rachel Lubanowski (teacher and mentor for RR participants) about the design process and work with students. The Balenciaga Triple S via Royal Culture. Trickling down from A/W Runway 2017, shoes inspired by “orthotic footwear favored by American tourists” (thank you Net-a-Porter) are everywhere. Maybe it’s nostalgia, the evolution of athleisure, the normcore movement. Or maybe it’s just the business of fashion to re-set notions of what is cool every now and then. Regardless, the Dad Shoe is having an insane moment. Let me define insane: The Balenciaga Triple S (trailblazing darling of the fashion world) is both $895 and selling out. Are they awkward? Yes. Insanely chic? Also yes. In Balenciaga's wake, Louis Vuitton (with the Archlight), Gucci (the Rhyton Logo), Yeezy (Boost 700 Waverunner), Acne (the Manhattan), Fila (the Disruptor), and Nike (Air Monarch) are giving the Triple S a run for its money. To jump on this trend and style effectively, assume Dad Shoes replace Cons or Stan Smiths: they go with everything from ankle jeans and tees to sharp suiting and slip dresses. Neutral colorways add a point of contrast and texture, while multi-colored versions easily become the focal point of any outfit. Why? Ask a Dad. The Balenciaga Triple S worn with neutrals via Rex on The Street. Hailey Baldwin in LV Archlights via Vogue.com. LV Archlights peak out of pink suiting, via Rex on the Street. Street Style Star in Dad Shoes with a simple black day dress via Chiko Shoes. You can shop Trainers a la the Dad Shoe and easy pieces to pair with them at Common Threads Boulder and Denver now. PS: Next week we do a deep dive with Libby Alexander (CT and Recycled Runway founder) about Recycled Runway: Teens Transforming Trash, its nine-year history, and what's next for the ultimate feel-good event. A shot from The New York Times' On The Street With Bill Cunningham. Image courtesy of Pinterest. Street style is an anarchic approach to fashion rooted in Twentieth-Century British fashion culture and brought to the forefront by photographers and journalists who chronicled the outside like Terry Jones, Bill Cunningham, and Amy Arbus. Opposing Haute Couture, it produces styles based on individual expression, negotiated identities, subculture influences, and intersecting styles and trends. Amy Arbus chronicled 1980s Street Style for The Village Voice in "On The Street". Image courtesy of Hypebeast. Critics of current street style culture argue the movement has lost its authenticity, becoming more “models on assignment” than real people expressing themselves over time. 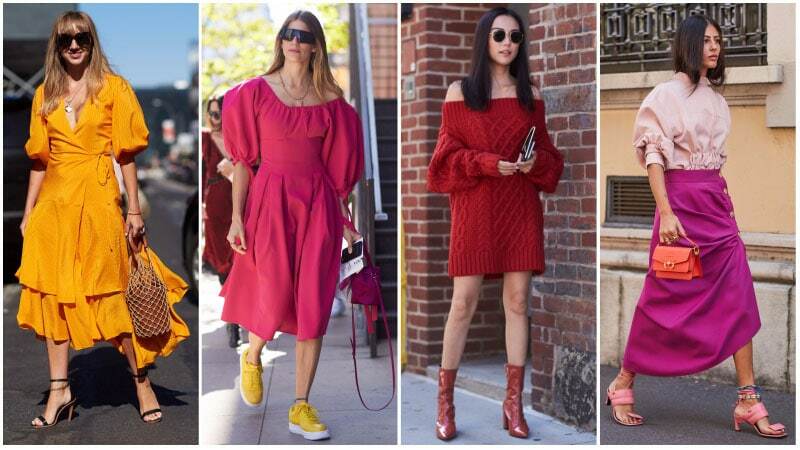 This does not dampen its influence: street style has evolved from a fringe faction into a viral, powerful aspect of the industry, and juggernauts are taking note (Virgil Abloh, founder of streetwear line Off-White, was recently named artistic director of Louis Vuitton Men). Put your subversive hat on and shop these street style trends at Common Threads Boulder and Denver now. There are a handful of industry titans whose work is so enduring, so emblematic it supersedes the person: Frank Lloyd Wright for example, Basquiat, Georgia O’Keefe. When they die we’re left with legend and relics, leaving us to wonder who they were, actually, what they thought, and how they navigated things. Hubert de Givenchy. Image courtesy of Luisa World. Audrey Hepburn in Givenchy. Image courtesy of Offbeat Ombre. On Luxury: "Luxury is in each detail." First Lady Jackie Kennedy in Paris, 1961. Image courtesy of Enchanted Manor. Givenchy and Hepburn. Image courtesy of Pinterest. ...And Finally: "Be a gentleman anytime, anywhere." Givenchy closing his final runway show in 1995. Image courtesy of USA Today. You can shop Givenchy (or looks inspired by) at Common Threads Boulder and Denver now. NOTE: first image of Mr. Givenchy courtesy of the Givenchy website. All quotes available online, thanks to articles from The Guardian and British Vogue. Freida Kahlo; Image courtesy of Vogue.com. 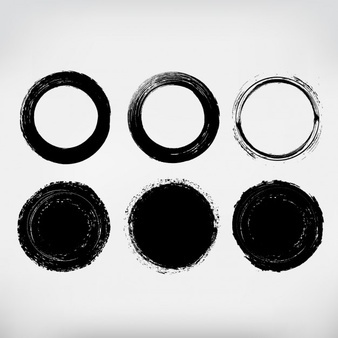 Ours is a life of contrast: male and female, east and west, yin and yang. But the pitter-pat of daily routine (excluding time logged on social-media or watching news outlets) can melt distinctions into a muddy milieu of same, and I forget that beauty (and dare I say style) lay in contrast. I was reminded of this in Tulum—a place where the blazing sun beats your back and cool cenotes await, where Mayan tradition abuts a thriving tourist industry, and idyllic neighborhoods are patrolled by police with military weaponry. The peoples’ dress seemed to celebrate this duality: cut-offs with silk blouses in rich colors, stacks of beads, and Havianas; traditional peasant dresses with Louboutin espadrilles; sequined beach shorts and sun-kissed faces, bare except for a swipe of red lipstick. Think Frieda Kahlo meets Jerry Hall. Jerry Hall in the 1970's. Image courtesy of Vanity Fair Magazine. Taking note, we can all up the ante of personal style by mixing distinct, contrasting pieces that don’t belong together in an orthodox sense (I call this philosophy Anti-Stitch-Fix). Consider pairing a military jacket with virgin-white frills and Yeezy sneaks, or accessorizing slim suiting with rustic wooden beads, colorful woven bracelets, a tee shirt, and flip-flops (search Street Style at Vogue or Harper's Bazaar online for inspiration and rough guides to DIY). Starting in your closet, go boldly in the direction of duality, and embrace the mystery of contrast. Street sign in Tulum, Mexico. Image courtesy of Luciann Lajoie. You can shop elements for this way of dressing at Common Threads Boulder and Denver. Photo of a cashmere goat by istockphoto. Because of its luxurious feel and versatility, cashmere is one of the most sought-after textiles in our consignment stores and around the world. Being lightweight, yet so incredibly warm makes it perfect for Colorado weather and year-round activities. (High-quality cashmere can be three or four times warmer than sheep’s wool!!) Anyone that lives here knows that we can go from 65 degrees to 25 degrees in a matter of hours and Summer evenings at high elevation have even more drastic temperature differences. Did you know that the cashmere fiber comes from the super soft underside of cashmere goats? Each Spring when the animals are molting their Winter coats, the super-fine hair is collected through an involved removal and combing process, which can take up to two weeks per goat! Because of the time-consuming process and scarcity of the fiber, regular-priced cashmere sweaters and other goods are quite expensive and can retail upwards of $500 (many times more than that). Our top-selling cashmere brands (Avant Toi, Lainey Keogh, Casmari, 360 Cashmere, Raquel Allegra, Vince, The Row) are even more expensive, but our like-new quality and prices are unbeatable! Especially now because of our WINTER BLOWOUT SALE! All Winter goods are 25% off until March 19th (the last day of Winter)! With the intense process from sourcing to creation, cashmere does seem like a miracle....a cashmere-acle! Photos of a Burberry cashmere scarf & luxe cashmere sweaters by Common Threads Boulder. Bing Crosby in his custom Levi Strauss Tuxedo. Image Credit: via Boing Boing. Bing Crosby was nearly thrown out of an upscale hotel in 1951 Vancouver because he was wearing jeans and not a suit. Levi Strauss responded by sending Mr. Crosby a custom denim tux, and the Canadian Tuxedo was born. Since then, the Canadian Tuxedo (these days any combination of denim jacket and jeans) has evolved into a chilled-out uniform that’s the epitome of cool. 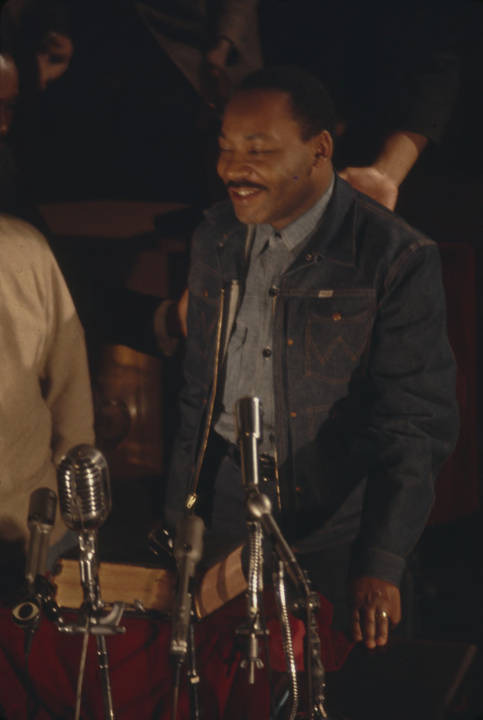 Denim on denim has graced the frames of Rosie the Riveter, James Dean, Elvis, Martin Luther King Jr. , Steve McQueen, James Brown, The Jordache Generation, Johnny Depp, Kate Moss, Britney Spears and Justin Timberlake at the 2001 VMAs, Rihanna, Gigi Hadid, and Jaden Smith. 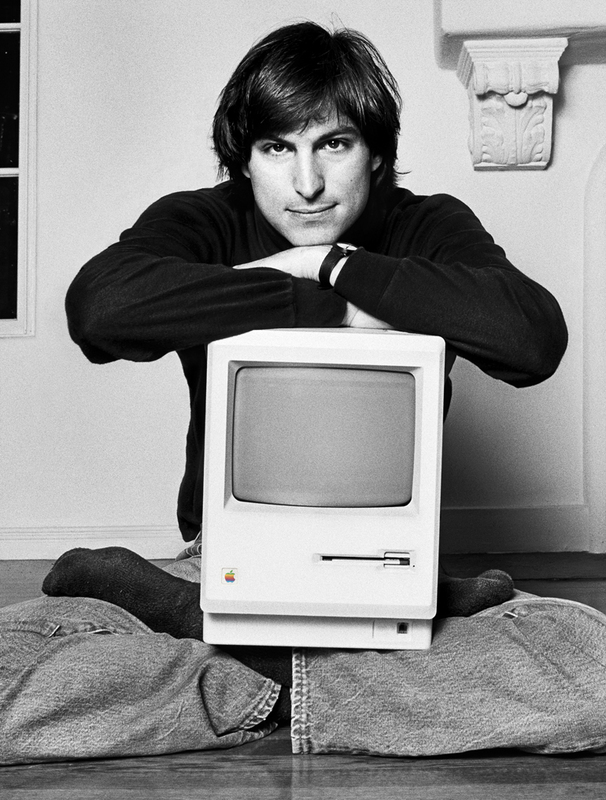 The look is ubiquitous but never common: a reminder of immigrant genius, the power of rebellion, and blue collar grit. 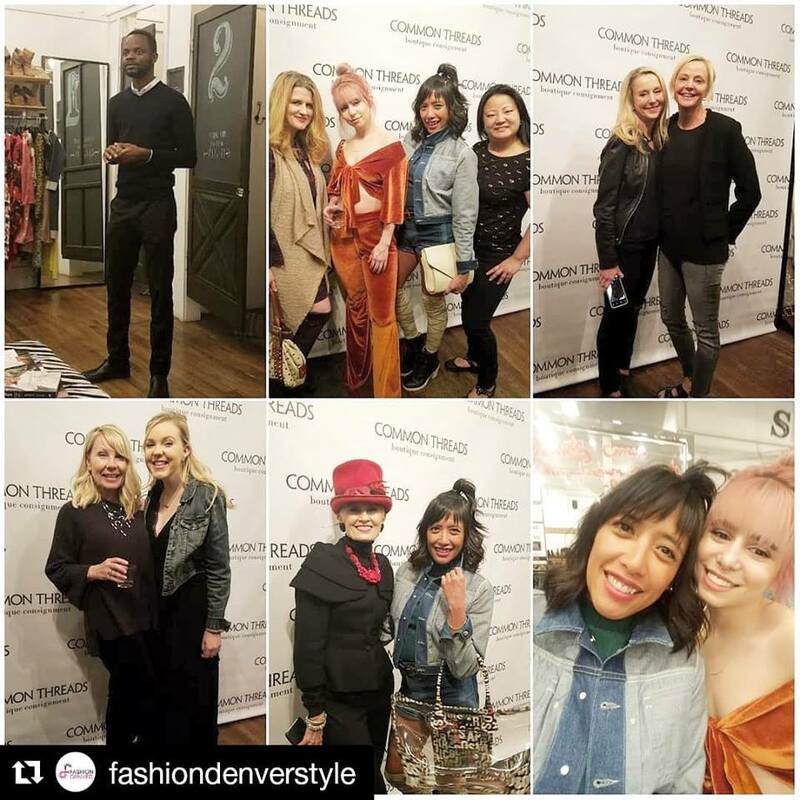 PS: we hosted our first community bloggers event last week, with special guests Judith Boyd (Style Crone), Brandi Shigley (of Fashion Denver) and Arnaud Kadima (who developed the Selfit-Shop Together app). Join us next time around: everyone's welcome and we had a blast! Meantime, stay tuned for interviews with Brandi and Arnaud this Spring (and note Brandi's take on the Canadian Tux below). Tracey Reese grew up making clothes alongside her mother on their matching sewing machines in Detroit. A Parsons and Perry Ellis alum, her namesake line is vintage-inspired, ultra-feminine, and has a cult following that includes Michelle Obama and Halle Berry. Carly Cushnie and Michelle Ochs launched Cushnie et Ochs after graduating Parsons in 2008. Focused on clean lines and the perfect fit, Cushnie et Ochs has a reputation for design that juxtaposes sensuality and sophistication: Adriana Lima, Kerry Washington, Olivia Wilde, and Eva Longoria are devoted fans. NOTE: the pair recently split professionally, Ms. Cushnie remains at the line. Toronto native and New York City transplant Aurora James is Creative Director for Brother Vellies. She has two goals for the line: to introduce the rest of the world to her favorite traditional African footwear, and to create sustainable work for artisans in South Africa, Ethiopia, Kenya, and Morocco. A member of CFDA since 2016, Ms. James won the coveted 2015 CFDA/Vogue Fashion Fund. PS: You can shop many of these designers -and other lines that represent diverse talent- at Common Threads Boulder and Denver. SIGN UP TO RECEIVE OUR BLOG IN YOUR INBOX!